Blackamoor or New Marsden Colliery. Coal Aston Colliery in 1835 at 380795. 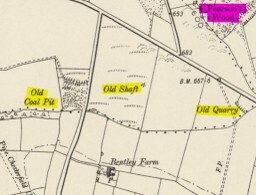 Coal Aston Colliery Shafts SK 437720 379310 & SK 437221 379347. 68.5m deep. A colliery owned and worked by Rhodes & Co. and later James Rhodes and Sons from at least 1840 when it was visited by HM, Inspector of mines to report on Children Employed in Mines, the colliery worked the Silkstone seam until 1875 when it was closed and the plant sold off. Messrs. James Rhodes and Sons who have worked out the colliery are to sell by auction the 16 H.P. engine by Walker Eaton and Co. A 22 H.P. horizontal engine by Walker Eaton, 12 H.P. vertical engine and two large boilers by Wood Brothers. 88 coke ovens. The colliery is about 1 1/2 miles from Dronfield. In 1840 the colliery had only one shaft which was 73 yards deep into a four foot seam of coal. The coal was worked on short faces of around 18 yards long with the coal being placed into wooden boxes on wheels which were shoved by children and young men from 10 to 17 years old. The boxes were drawn up the shaft in a cradle. Men were let down the shaft in pairs but never in threes. The shaft was rather wet but the workings were dry. There were only 3 boys under 13 in the mine, two to open and shut the doors and the other pushes (presumably pushes the boxes of coal). The boys here were neither rewarded nor punished. The colliery employed Mark Edwards who was 9 years old as a pony driver for 3/- per week. He was first employed at the pit to open and shut doors when he was 6. John Edwards is 11 years old and is employed as an engine driver for 1/- per day and often let men down the shaft on his own, even though his father worked nearby. He also had a brother at the pit who opened the door and was under 6 years of age. George Bellamy is 16 years old and pushed wagons for 2/6d per day. John Bowler also worked here and was 13 years old. The company had several coke ovens in the locality which employed no children and very few young men. (HM Report on Children Employed in Mines 1840). John Turner and Son colliery and contractors auctioneers have received instructions from the above company to sell by auction on the premises of the above on Monday 13th May 1889 the whole of the colliery plant in consequence of the expiration of the lease. All will be sold without reserve. Bentley Colliery is 2 miles from Dronfield, 2 miles from Unstone, 4 miles from Eckington and 6 miles from both Chesterfield and Sheffield. Sale commences at 1:00pm. In 1880 this colliery was worked by the Rhodes Brothers. Hawthorne trees traditionally planted on colliery engine sites in this area. Abandoned March 1936. Snowdon Lane Colliery SK 39102 78725. There appears to be two collieries one Snowdon Lane Eckington and the other Snowdon Lane Dronfield. In 1880 the colliery was owned by Swift and Allen. 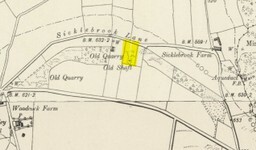 Later the colliery is working in the Silkstone seam in1896. Mr Mellor of the owners Swift and Mellor was undermanager and employed 6 men underground and 2 on the surface. (Dronfield). Another Snowdon Lane Colliery was also working in 1880 and was owned by a Mr. C. Swift. (Eckington). I have also found the following collieries noted on the 1930’s lists of collieries, there appears to have been a resurgence of mining in the area working small scale at this time. Employing 3 men underground and 1 on the surface, owned by T. Unwin of 35 Trowey. Marsh Lane. Abandoned 31st December 1938 as unprofitable. 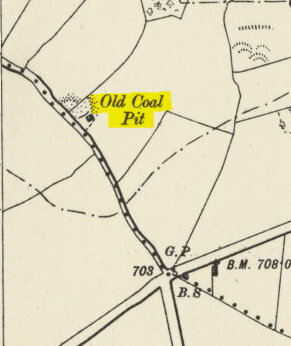 No coal drawn after1936 as owner met with a serious accident when the entrance to the mine fell in. Two men attempted to reopen the mine but it was deemed as unprofitable. The land owner refused to allow Mr. Unwin to do any more mining he therefore abandoned the mine. There are reputed to be but are not proven old workings in the vicinity. Abandoned in 1938. Owned by J. & J. Slack of Dobholme Farm. Trowey. Owned by Kay & Rowbotham of Holmeley Common Coal Aston. Employing 2 men underground and 2 men on the surface. Owned by Mr. H. Chetwynd of 16 Cross Street Dronfield. Working the Silkstone seam until last working in March 1932. Officially abandoned by being short of capital in April 1933. Owned by F.& G. Marsh Turner. Main Road Marsh Lane. Colliery marked as Discontinued. For a personal and in depth look at the area read ‘Dark at Seven, The Life of a Derbyshire Miner’ about Joseph Sharpe told by Nellie Connole. ISBN 0 951351818. Published by Whitehead Books. Well worth a read. Five Gates Farm, Old Drift Mine.